If you avoid socializing with others, afraid of what others think about you, and feel extremely anxious around people, even people that you know, you are not alone. Social anxiety is more common than most people realize. 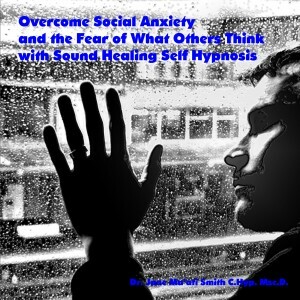 This self hypnosis MP3, which is also embedded with sound therapy frequencies, can help you feel calm, more relaxed, and less self conscious in social situations, and more confident in in your relationships with others. With a positive, confident attitude, you will begin to enjoy socializing and meeting new people, and those around you will actively enjoy your company! This MP3 also incorporates binaural beat sound therapy techniques, to deepen the hypnotic state, and also, to attune your mind to the rhythm of self confidence.